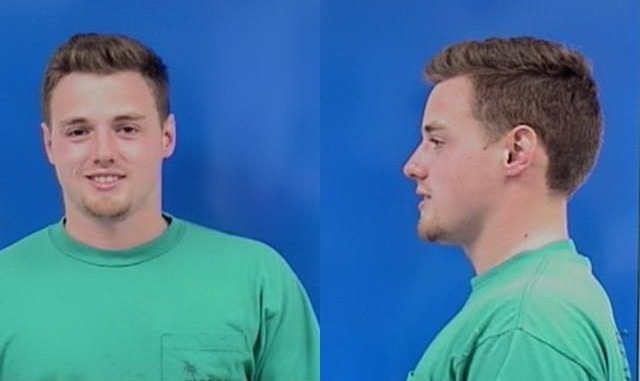 On Saturday, April 6, 2019, Deputy Fox of the Calvert County Sheriff’s Office responded to Plaza Mexico in North Beach for the report of a disorderly subject. Christopher Daniel Wilson Jr., 23, of Deale, knocked another customer’s drink off of his table and attempted to assault him. While officers made contact with him, Wilson was loud and used profanity. Wilson was placed under arrest and transported to the Calvert County Detention Center where he was charged with Disorderly Conduct, Resisting/Interfering with Arrest and Intoxicated Public Disturbance. This entry was posted on April 10, 2019 at 8:42 am and is filed under All News, Calvert News, County, Law Enforcement, More News, z 600X120 Top Ad Bottom, z Police Ad Top. You can follow any responses to this entry through the RSS 2.0 feed. Some people should not drink. They can’t handle it and end up involving innocent bystanders. I’m glad my first beer didn’t end like this!!! So lucky he didn’t get his a$$ beat to a pulp. Next time serve him warm milk until mommy can come get him. Prime candidate for the MSP Academy, eh? White kid, smiling cause he knows ZERO trouble coming his way. Just like everyone else or haven’t you been paying attention. He looks so happy and proud of himself! Way to go dummy, you showed them. Stick to your show Otis, “dummy” is my line, you just like Grady, always stealin’ somebody’s spotlight! You drunk dummy. You been hangin’ ’round Woody? -Fred G. Sanford (the G is for Gimme my line back). I remember mine too but I wasn’t stupid enough to get arrested much less smile for the mugshot photo! Arrogant little punk. Shouldn’t have been any charges, just a little wood shampoo, a kick in the fart flappers and let him sleep it off in the clink. See if he still has that S-eatin’ grin in the morning. Sorry – All comments of common sense will be censored to further the socialist agenda of the biased newsnet. As is customary with the democrat nazi party of St Mary’s County, MD. Can you read or just assume things trumpie?? This happened in CALVERT COUNTY!! The comment was associating the newsnet with St mary’s Co.
You must be a moron. Can’t wait to jump or to hate president Trump. Therefore, using the name Steve makes you not anonymous. Come on, practice what you preach, what’s your last name? Is it Tool?